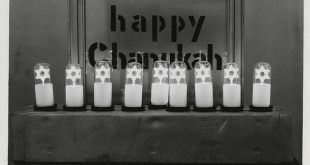 During this holiday season, you may be thinking of gift ideas for your brother and sister-in-law, putting together gift baskets for your neighbors, or donating towards group gifts for your children’s teachers; but there are some people you might not consider, but shouldn’t forget—support staff. 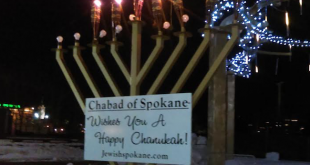 Near freezing temperatures and gusty winds didn't keep the public Menorah Lighting put on by the Chabad of Spokane County from being a bright, warm event for the community. 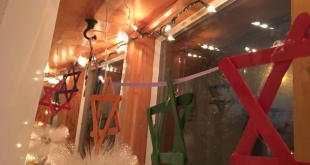 To my father -- an agnostic, a pacifist, and a humanist -- both Christmas and Chanukah reflected the importance of gathering with loved ones during the coldest, darkest days of winter to create warmth and light. I learned to value the commonalities rather than dwelling on the differences. 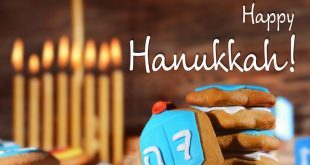 This year, Dec. 25 will welcome both Christmas and the first full day of Chanukah. This is a rare occurrence. 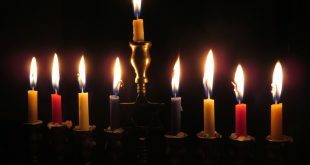 Chabad of Spokane County is hosting a Chanukah Family Celebration on Dec. 26, and the greater Spokane community is invited.